Good morning! Just dropping in quickly to share another birthday card. Seems I am on a roll with those lately! This one is for the current A Blog Named Hero challenge #46 to use a bokeh effect. It also kind of looks like confetti. Oh joy! Hello! I am up on the CardMaker magazine blog today sharing a card inspired by a table number design from a pretty Nashville wedding. 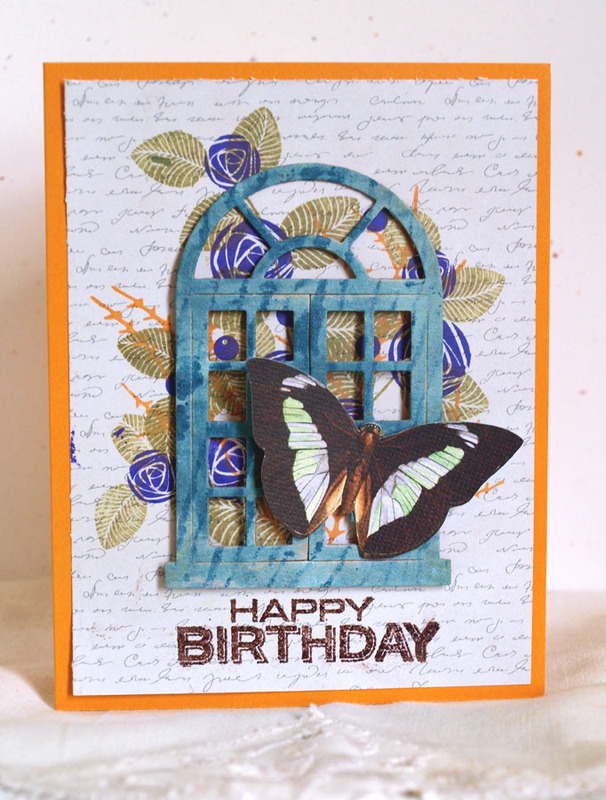 It uses the 3 newly released shades of Colorbox Chalk Ink, plus some stamps from Waltzingmouse. Click here to read the entire post and have a beautiful Wednesday! Hello there! Hoping you all had a lovely Mother’s Day. It was rainy here for much of the day so we hung out in our jammies and were fairly lazy. 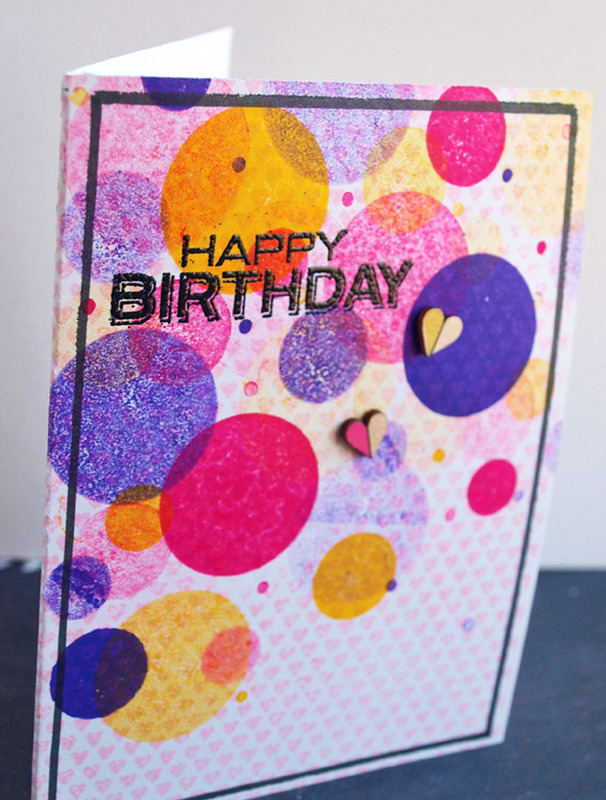 I snuck into my craft room for a bit while dad kept the kids occupied (or should I say the TV kept the kids occupied 😉 ) and put together a card for the Gallery Idol challenge at Paper Crafts and Scrapbooking mag. The first round of auditions called for a project using decorative tape. 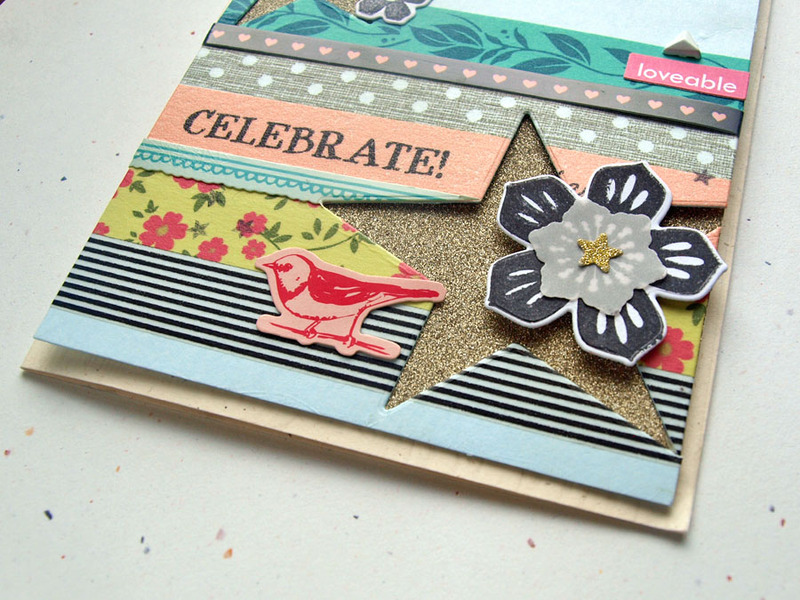 Washi tape from Freckled Fawn is what I used here. My tape stash hasn’t seen a whole lot of play in recent months and I almost forgot how simple it makes it to mix and match patterns and colors without a lot of effort. Plus stripes never go out of style! 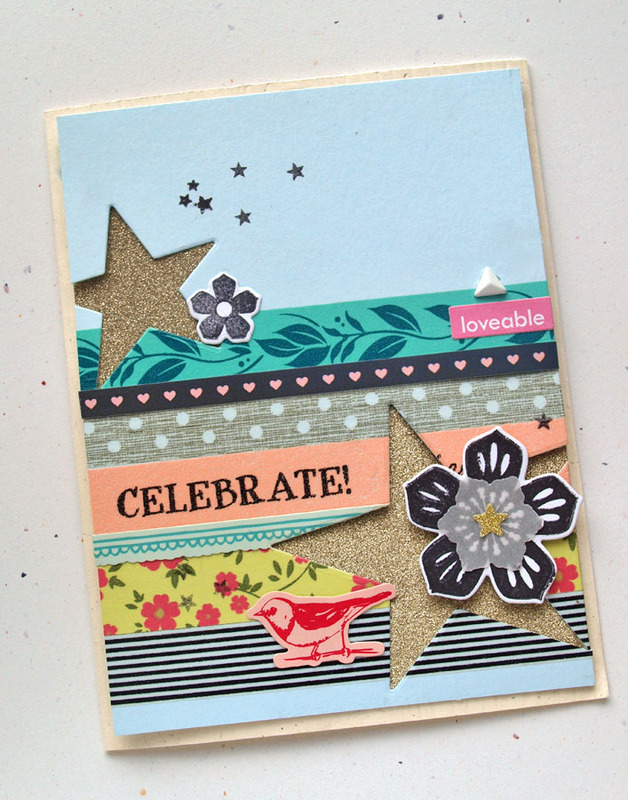 I die-cut some wonky stars into the cardstock panel and filled the negative area with glitter paper. 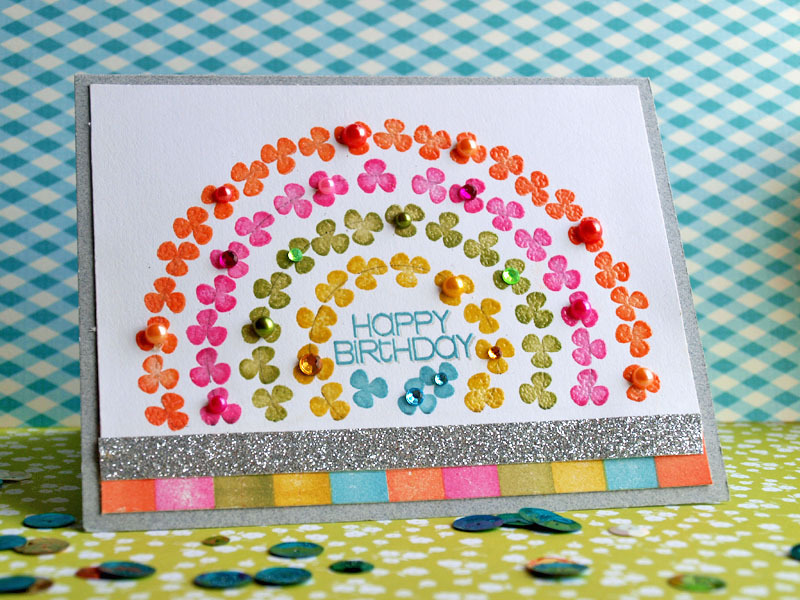 Cause we can all use a little more sparkle in our days – right?! Also added some other random bits that were laying around my desk. Happy Friday! We are celebrating today for our twins’ 7th birthday, the 2nd day of spring and the last few days of spring break from school. 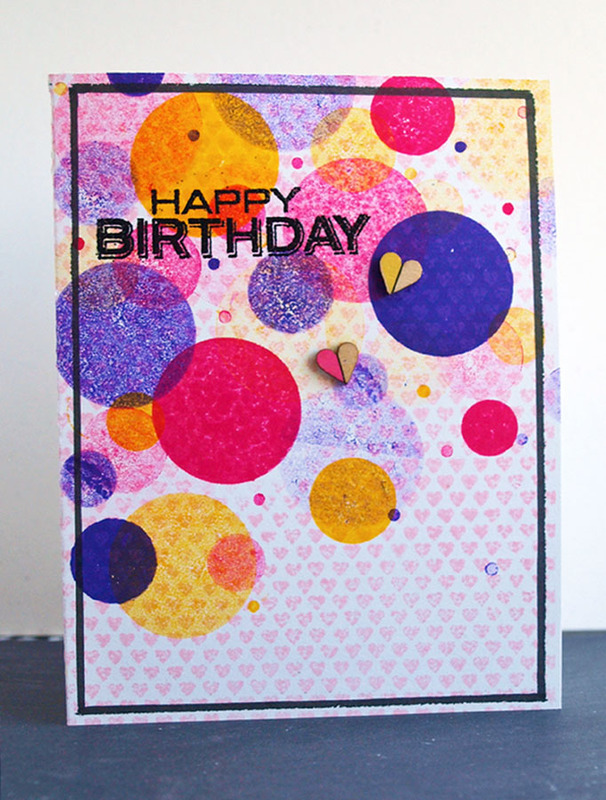 I also have a spring card up on the CardMaker blog today that was inspired by a pretty pom pom pillow. Stop by if you get a chance!